The way in which the world is advancing is pretty fascinating. Technological growth has been one of the key ingredients in the advancement of the society. Smart-phones have become a prodigy in the recent times. It has become an attraction so much that; people have started collecting it like stamps, in the earlier days. Aquos S2 is the latest smart-phone in the market. Sharp has launched its new model phone titled Aquos S2 on August 8th, in Beijing. It will be ready for sales in the Chinese electronic gadgets on the 14th of August. It has also announced that here would be other notable and exciting offers given to the customers on the sale of the touch smart-phone. Display – 2040×1080 (5.5 inches). The full HD screen to body of the phone is proportioned to be 84.75%. This type of display is made using the Free Form Display (FFD) technology. Design – It has a metal and glass design with three edged minimum bezel called as “tri-bezel”. The top and the side edges are made with minimum bezel while the bottom part has full frame. Processor and Storage – It is fashioned with the latest processor from Qualcomm. This phone comes in two types; Snapdragon 660 chipset and Snapdragon 630 processor. While the former give 64GB internal storage and 4GB RAM, the latter comes with 6GB RAM with 128GB internal storage. Battery – 3020 mAH battery available with Quick Charge 3.0. Android – Nothing irritates than having an old non-updatable smart-phone with an old Android system. This phone provides you with the latest updated 7.1.1 Android system (Nougat) supported by Sharp’s Smilax atop. Other Features – Fingerprint scanner with 3.6mm thickness, which is considered to be the narrowest in the world; 4G volte handset; USB connection of type C.
In addition to these cool features, the smart-phone is available in 4 different colors – Blue, Green, Black and White. The prices for the model varies in accordance with the model type – high end models are priced around 3,499 Yuan (approximately 33,000) and basic models are prices around 2,499 Yuan (23,800). It was launched around 2pm (11.30 IST) in China on 8th august. 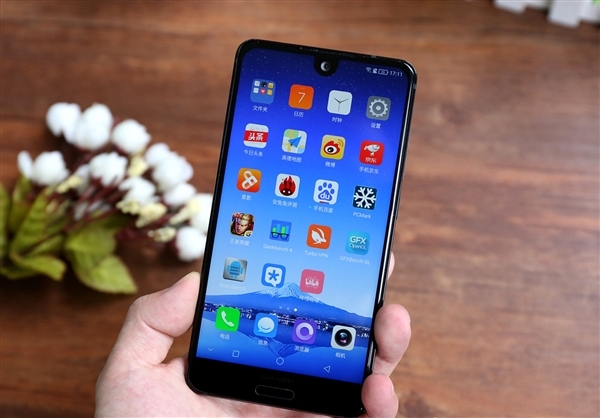 It is also said that, this is the 29th smart-phone with full-screen model launched by the company. Could not wait anymore to order it right?